Welcome back to another day of Stamp Highlights! Today we are highlighting the set "Puffy Holiday Greetings" These greetings are great for backgrounds and a pop of color! 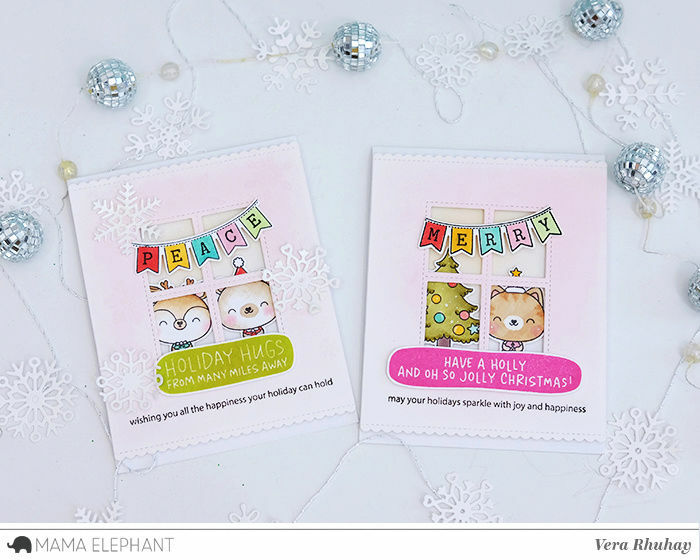 These cards by Vera are so cute and fun with the Puffy Holiday Greetings in Pink and Green! 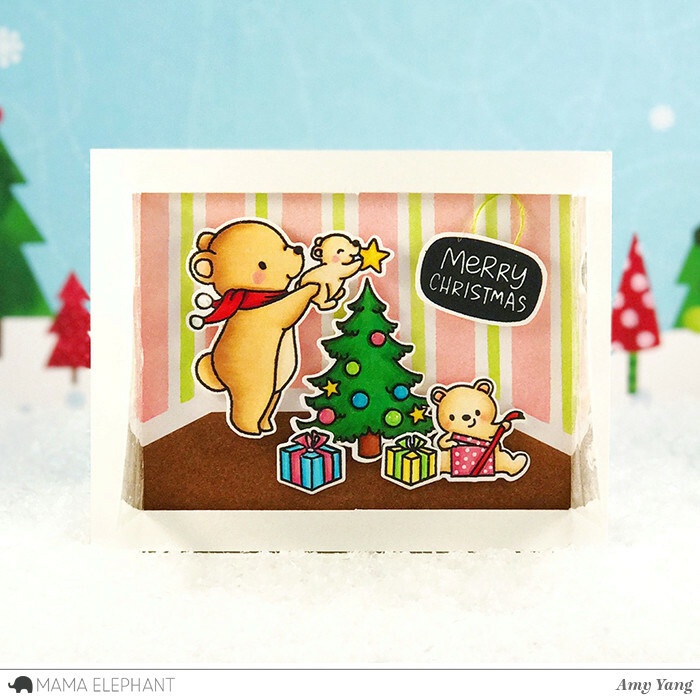 Look through the window of Amy's card to find a sweet scene and a Merry Christmas sentiment inside. 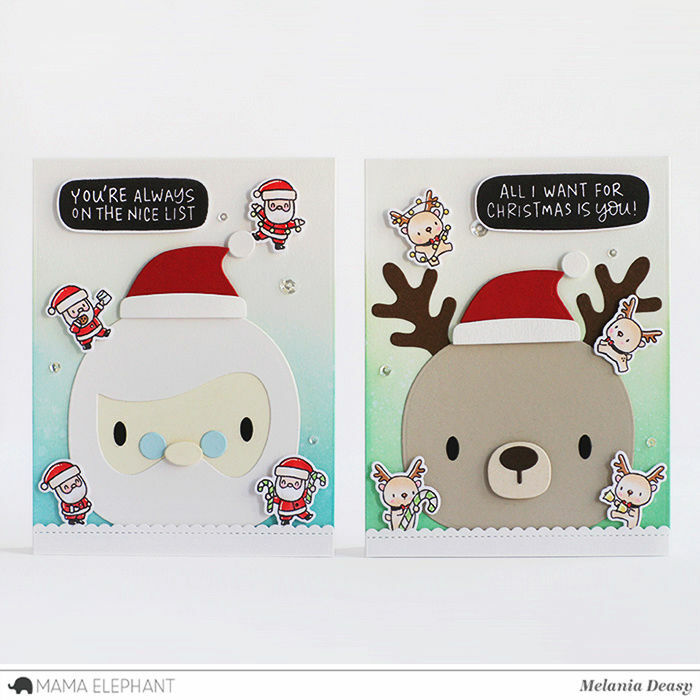 We love Anna's design - she used a light blue + gray color combo and the Puffy Holiday Greetings set to create a graphic looking card. The Puffy Holiday Greetings make a fresh and fun Christmas background in shades of pink, red, and mint. The Little Santa Agenda images, Occasional Labels and Merry Script are the perfect accents against this custom background. 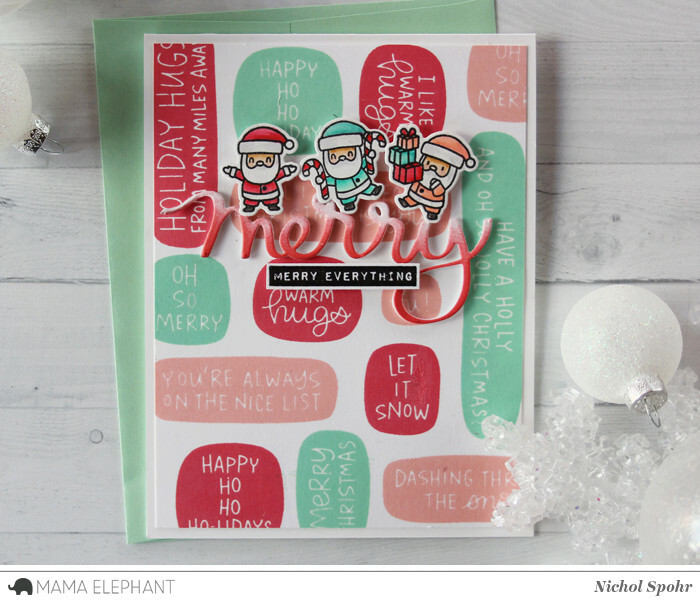 We love the bold and colourful background that Pamela created with the Puffy Holiday Greetings. And of course, a Yeti giving out free hugs! All of the cards are cute. 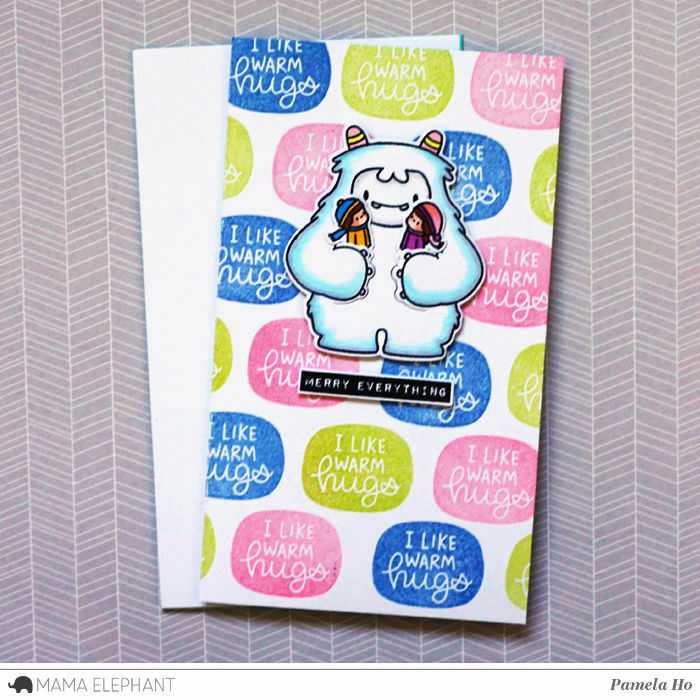 Super cute creations!!! Thanks for the inspiration! Amy's window card is so precious. That's the epitome of Christmas joy! OK! I'm officially in love with puffy set! Everything is so cute and fun ! Great cards and especially like Amy's. Poipet Casino is a lot of money.